I tried the Df in person today. 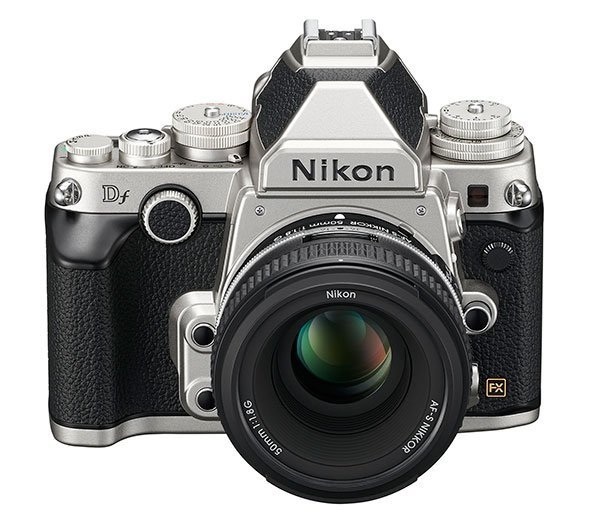 Not even close to a digital reincarnation of the classic Nikon F ( or FM, FE, FA etc ) series. It feels like a modern DSLR. It’s not noticeably smaller than a D600. In fact, due to the abundance of external buttons, dials, locks and sliders, it seems quite busy and a bit chunky. It’s a long way from the focussed design elegance of an FM2. 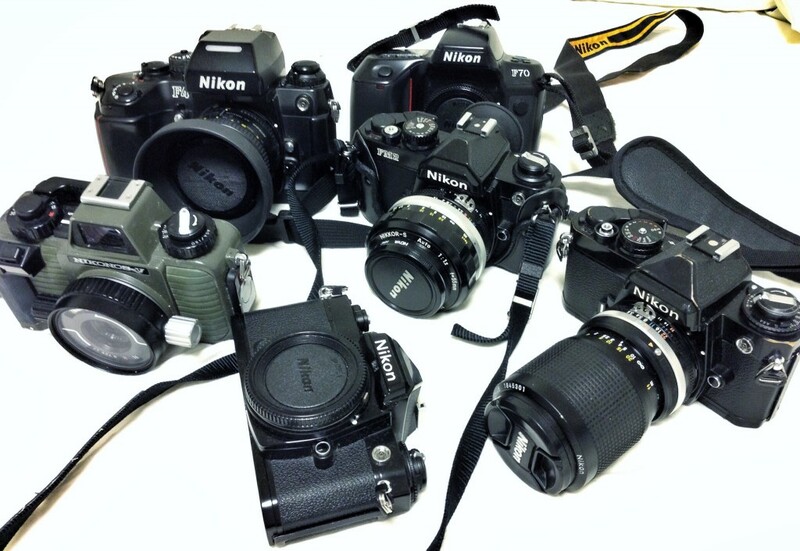 I thought the Df would be a digital version of one of my old classic Nikons, such as the FM2 pictured in the middle of the collection above. It will take all the old Nikon manual focus lenses, including the non-Ai ones ( such as the excellent 55mm/f1.2 attached to that FM2 ). I played with it some more and those initial disappointed thoughts faded a little, but it’s right to record them. 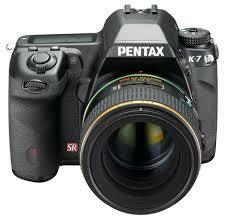 It’s been way oversold as a camera for those that want to return to “pure photography“. 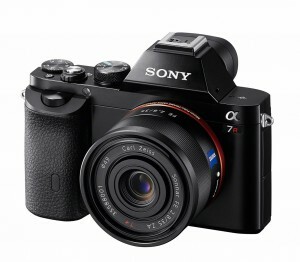 As I played with it more, and just accepted it as a 21st century DSLR, it disappointed me less. For example, the aperture controller is the vertical wheel fully visible on the front. It seems a bit plasticy to touch and operation is a bit rubbery. Similarly, the shutter speed dial. Works fine but doesn’t have the solid metal feel and precision of the classic F Nikons. But then I just accepted it is probably the weather-proofing and ( frankly ) the optimised for cost manufacturing. It’s okay. If you’ve never used a really nice film camera you’d likely not complain. But if you’ve never used a really nice film camera, you’d be as happy with a D610 or Sony A7(r) I suspect too. Main issue outside how it all feels for me was of course the focussing. It’s a very bright, clear viewfinder. There are just the outlines of the centre-weighted area ( circular ) and focussing area ( rectangular ) visible. The actual focus point only shows up ( in black ) when it is locked. So it’s quite unobtrusive. There is a matte, very fine. I was using the kit 50mm/1.8 and the matte was fine enough to focus on an aerial, for example, about a 2 metres away. There is the Nikon rangefinder focussing aid too, the full one ( with the arrows, not just the focus confirmation dot ). In other words, for manual focus it’s quite reasonable if you are used to say an F4 or later Nikon with AF, but a bit poor if you are used to split-screen/prism/matte of the earlier MF-only bodies. And of course, the screen is not replaceable. Right now, I’m not sure if Nikon have really nailed this one. The Sony A7R I used last week was a much easier camera to admire. Seems better built. Certainly less conspicuous. Takes every lens ever made ( almost ) and if I’m honest, has much less of a design mish-mash than the Nikon. Still pondering it, will spend some more time with it I think. Doesn’t look like an obvious purchase at all at this point. For what it’s worth, the black camera body was sold out already today in Tokyo, first day of sale. The silver body, and both kits, were still available. I want something simple, timeless and elegant. I want something with astounding build quality, and full manual controls… So i bought myself… a film camera.